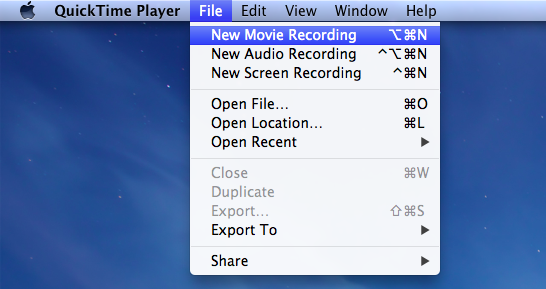 Did you know that you can use QuickTime Player to record three different types of multimedia, for free? 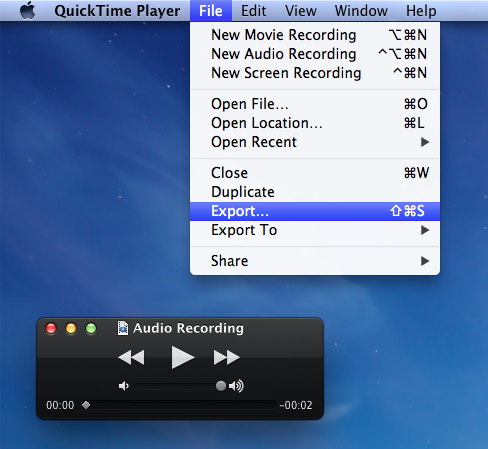 In fact, QuickTime Player allows users to create a movie recording, an audio recording, or a screen recording. If you are planning on using an external microphone, be sure to click on the tiny "down arrow" just before you begin recording. This will give you a few additional options regarding the audio device you want to use and the quality of your recording. After you have created a new recording, you will need to click "File", then select "Export" to save your recording to your local device. You could also choose to either share it to iTunes or other social media tools like SoundCloud, AudioBoo, YouTube, Vimeo, etc. The next time you need to create a video, audio, or screen recording, consider using QuickTime Player for a free, high-quality recording. How might you integrate this tool into your instruction? How might your students integrate this tool into their projects?